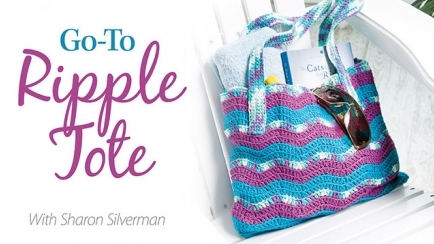 Sharon Silverman is a crochet designer, author and instructor based in Pennsylvania. A lifelong crafter, she switched gears from travel writing to crochet design after rediscovering her love of crochet 10 years ago. Since then, Sharon has developed a reputation for fashionable creations and crystal-clear instructions in her books and her private line of patterns. Sharon is a professional member of the Crochet Guild of America and a design member of The National Needle Arts Association. Her goal is to guide her students in mastering some many variations of the ripple pattern through step-by-step instruction and such desirable projects it will be hard to decide which one to make first. Displaying 1 - 4 of 4 classes(s) found. 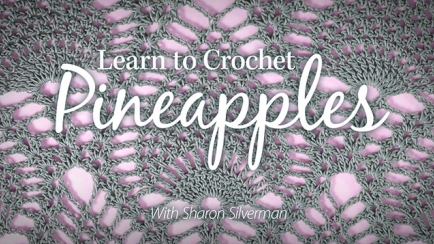 Build your confidence with crochet expert Sharon Silverman by your side while creating two stunning Pineapple projects! 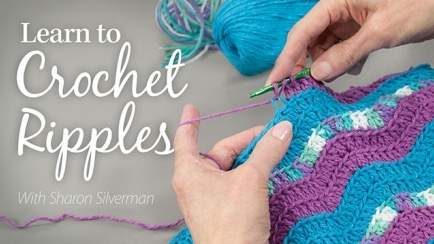 Learn to crochet a variety of ripple crochet patterns to create beautiful items for family, friends and your home! 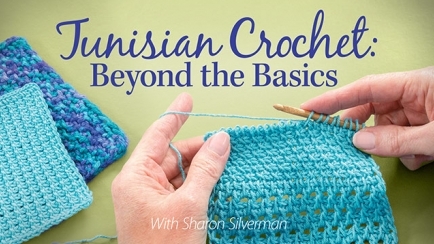 Master intermediate Tunisian crochet skills with expert Sharon Silverman while creating two memorable projects to gift or keep!